It’s not because I’m supposed to, or because they pay me to, or because it’s glamorous. It’s because I love working with my patrons, and my teen patrons especially. 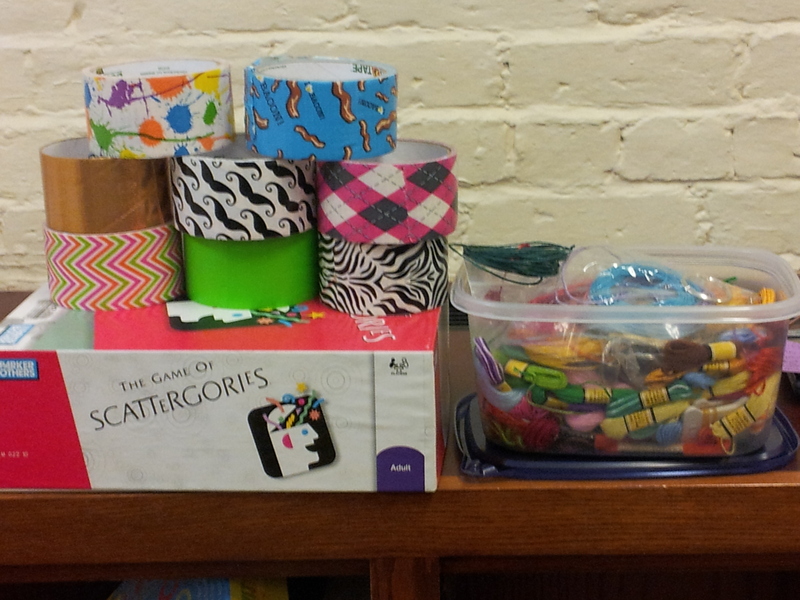 Yesterday I had a drop-in games and crafts program in our teen space. I had a handful of kids not traveling for school vacation and whose parents were not deterred by a sudden snow squall. I put out stuff for rainbow loom bracelets, origami paper, duct tape, and embroidery floss, as well as a smattering of board games. A few teens played “Spongebob Life” – a perennial favorite – and others make rainbow loom bracelets. We chatted about school, all of the snow, and then totally derailed the game of Life by fan-girling and fan-boying over various YA movie trailers. First I had to see The Maze Runner trailer, then Divergent, and then we watched The Fault in our Stars about three times. And maybe I teared up each time seeing Augustus and Hazel. I got to recommend a few books to read and invited them to Book Babble, our monthly book group. I did have to assure them we didn’t talk about the book the entire time, that sometimes we talked a lot about “Sherlock” or “Downton Abbey” or “Once Upon a Time.” They seemed relieved. Anyway, this is the reason I go to work: to hang out with these teens, to talk about books, to feel like I might be doing something for them. Even if it’s just watching movie trailers, eating cookies, and being an adult that doesn’t hate them or think they are annoying. I think that’s a good reason. And sometimes I get paid to do crafts. That’s a pretty good reason to go to work. It’s funny you wrote about your patrons, Anna. I did the same thing a few weeks ago. I love that there are people out there that really enjoy making connections with other folks–it can bring both parties a lot of joy, even in those everyday 2-minute interactions.